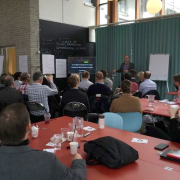 Malmö, Sweden – May 8, 2018 – BootstrapLabs Founder and CEO, Nicolai Wadstrom was honored to be invited to speak at Malmö’s legendary Palladium during the city’s 07:07AM quarterly Breakfast with Entrepreneurs. 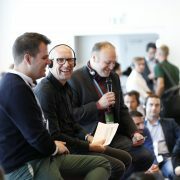 During Nicolai’s session “AI, Silicon Valley and Malmö!“ he shared his unique insights in what is happening within Artificial Intelligence, why it is happening now and what lies ahead. He also provided some guidelines on how business leaders can prepare their organizations for the technology shift. 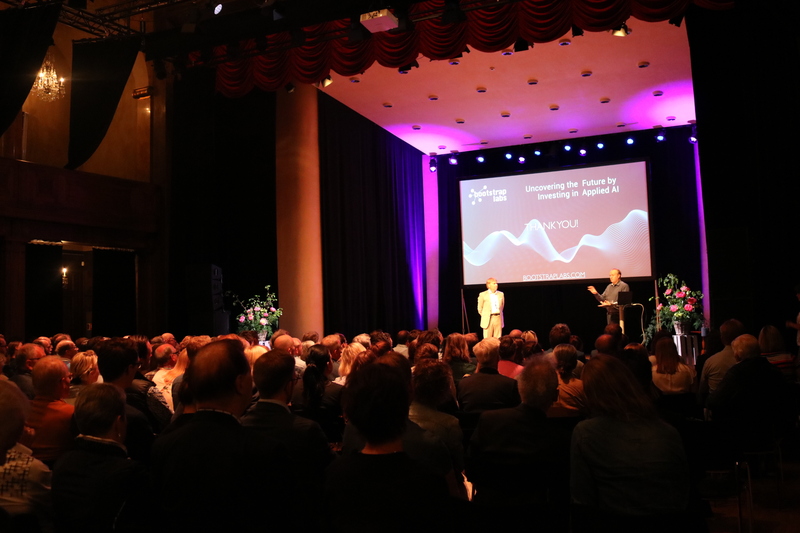 The business community in Malmö was hungry to learn more about AI and BootstrapLab, the organizers opened up extra tickets and ended up with 500+ registered attendees. 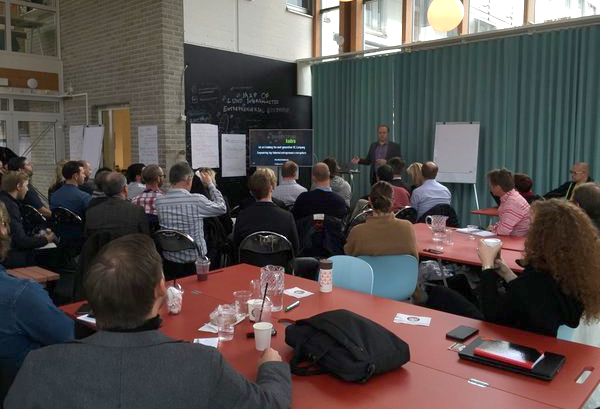 07:07 am is a forum where entrepreneurs meet other entrepreneurs and share knowledge and experience. 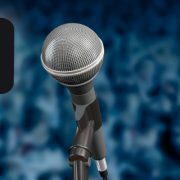 Each meeting has a theme and hand picked speakers for that particular topic. 07:07 am is also an opportunity to meet Malmö city politicians and civil servants. WANT TO JOIN US TO THE NEXT AI EVENT? 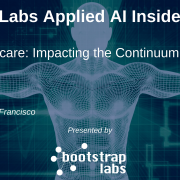 BootstrapLabs is thrilled to announce the Applied AI Insiders Series: AI and Healthcare. Registration:this event is INVITE ONLY. If you did not receive an invitation you can request one below. We stand in front of the 4th and largest wave of the industrial revolution, powered by Artificial Intelligence and Data. This is the biggest opportunity so far for innovation and entrepreneurship, and every single industry will be disrupted and redefined by companies that are not yet even born. 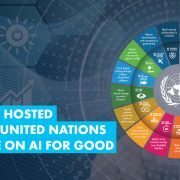 With the AI economic impact projected to reach $15 Trillion by 2030, we believe Applied Artificial Intelligence represents one of the major wealth creation opportunities of this century. 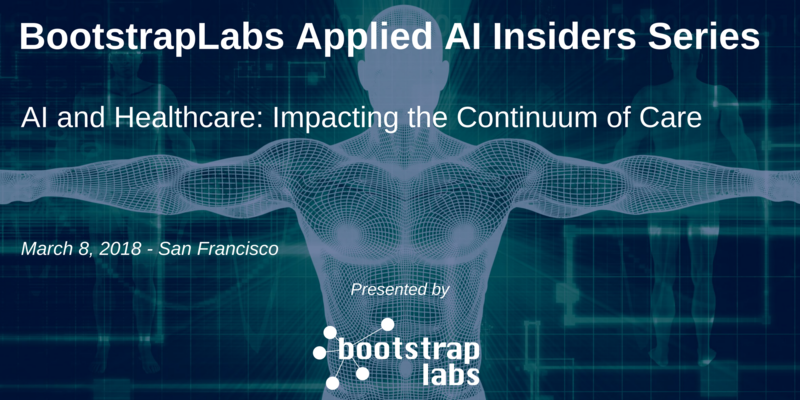 This BootstrapLabs Applied AI Insiders Series event will focus on how AI is impacting the continuum of care, from prescriptive to predictive, to faster, better, decentralized diagnosis, to pre- and post-operation assistance, and personalized treatment. CxOs across health organizations, as well as doctors and researchers, are starting to grasp the urgency with which they need to test, adopt, and scale AI technologies across their hospitals, practices, and offices. If the ongoing digital transformation is any indicator, these healthcare providers will struggle to adopt this new wave of artificial intelligence technologies. 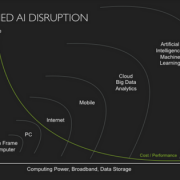 Today AI is very promising, but many solutions will not become tangible or simply not be resilient enough to survive in the real world. As a VC focused on Applied AI, BootstrapLabs looks beyond the hype and has assembled an extraordinary panel of speakers to take you through the current state of AI and Healthcare. Read more. Ben spent the last 20 years in Silicon Valley building and exiting two FinTech startups to Mergent and NASDAQ, investing in disruptive software technologies, and advising CxOs of Fortune 500 Telecom, Media and Technology companies on corporate strategy, financing and M&A. Ben is a member of the Association for the Advancement of Artificial Intelligence (AAAI), an Ambassador of La FrenchTech, as well as a frequent keynote speaker at industry conferences on innovation, technology investing, entrepreneurship, artificial intelligence, and globalization in the US, Europe, and Asia. Wael has an MS in Management Information Systems, a BS in Software Engineering, and an AS in Computer Engineering, all from University of Damascus in Syria. At Columbia University, he received an MS and an MPhil in Natural Language Processing, and a Ph.D. in Computer Science (Computational Linguistics). Dr. Wilbourne is a psychologist, co-founder and the Chief Officer for Mental Health and Wellness at Sibly, the most effective and affordable mental heal professional in everyone’s pocket, 24/7. She has worked for 20 years conducting research and implementing tools to improve mental health and wellness. She was the Director of Addiction Treatment Services at the flagship VA in Palo Alto. The world is buzzing about artificial intelligence, but there are many questions left unanswered, like: How will it affect me? What industries are most vulnerable? Are we ready? 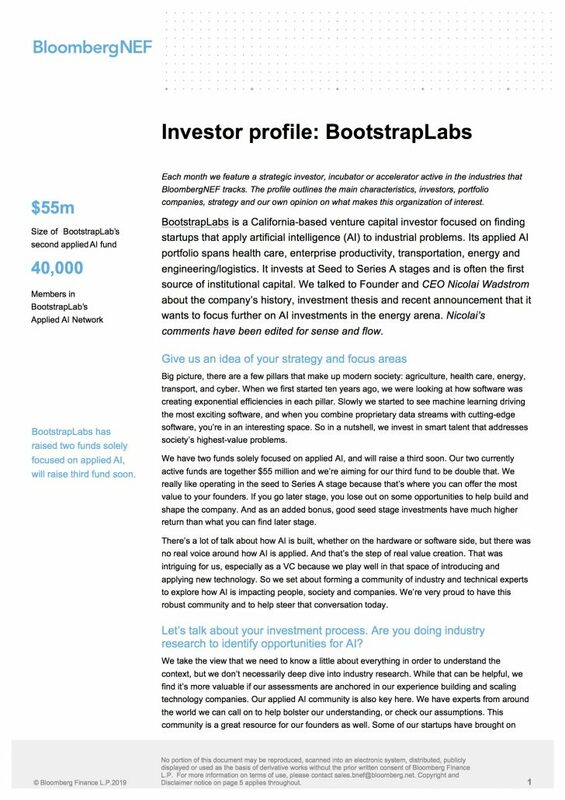 While no one can offer a crystal clear vision of all that the future holds, it has been our mission at BootstrapLabs to provide both a point of view and a toolkit for you to make the most of it. Here’s why investing in artificial intelligence is a great move to make right now. As with most technological revolutions, the wave of artificial intelligence is breaking on the heels of a promising body of research. Much is possible in theory, but those who take the leap and find working applications of the technology will determine how these innovations play out. That’s how we focus our investments – where can our “cognitive computers” make an impact and generate tangible value? Over the last decade or so, adaptive and efficiency-driven software has swept up the global economy, reshaping entire industries and redefining the way we do just about everything. Early high-rollers like Google and Amazon created computer systems that leveraged vast amounts of data for consumer benefit and quickly became some of the most profitable and influential organizations in the world. The stage is set for a similar land-grab – and potential takeover – with artificial intelligence. Humans created more data in the last 18 months than in the entire history of the world, and we now have computers which can learn from this data more effectively than humans can. This means there is massive opportunity for investment and innovation, and it’s still early days. One beautiful thing about machine learning and generative learning technology is that these systems learn adaptively, rather than following a limited set of rules. For Danny Lange, VP of AI and Machine Learning at Unity Technologies (and formerly Uber, Amazon, Microsoft and IBM), this means that his team can keep “gaining knowledge, then maximizing payout with current knowledge; but keep learning and exploring.” An initial investment in AI would not only help improve the way your business currently operates, but also enable you to innovate more rapidly and prepare for the challenges of tomorrow. With a virtuous cycle in motion between your technology, your processes, and your business strategy, you can exponentially increase the value of your organization. In every field, such a cycle will enable us to tackle bigger and better problem sets, leading to more engaged and productive employees and, eventually, new job creation. This is true because the advancements that applied artificial intelligence offer have as much, if not more, to do with effectiveness as they do with big software’s efficiency. This is like the Internet squared – augmenting not only our access to information, but also our ability to use the information in meaningful ways. For example, startups like Mendel Health have cropped up for this very purpose. Making better decisions, more consistently isn’t just a good business model for a healthcare company, it’s helping save lives every day. Of course, AI computers won’t be able to do everything by themselves. Yes, they will be ultra-smart data wizards who can make complex decisions in the blink of an eye. But we’re not talking about sentient robots taking over the world. 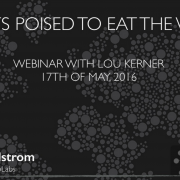 It is we, the humans, who are building systems to steadily enhance the quality of life on this planet. The technology is enabling us to ask better questions – and give better answers – about what we hope to accomplish in this next wave of industry. 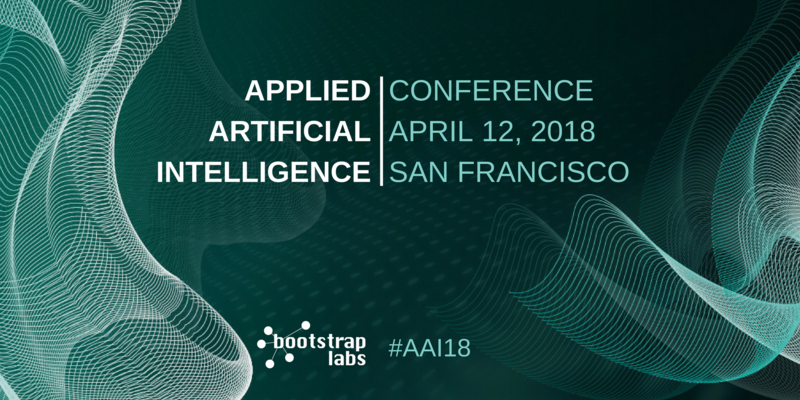 At our second annual Applied AI Conference in May, we were humbled and inspired by the amazing group of leaders across many different disciplines taking this project to heart. Researchers, entrepreneurs, investors, journalists, and more are striving for the most desirable outcomes through open dialogue and belief in a better future. As Hema Raghavan, Head of Machine Learning for Growth at LinkedIn, shared during the Conference, “we can build out the curve where everyone adapts together.” The combined investment of human capital, venture capital, and technology is a large-scale collaboration to build the infrastructure of tomorrow. To rehash the healthcare example, there are especially huge opportunities for improvement in places where our economics are currently misaligned. Disruptors like visual diagnostic startup Captureproof are already “saving patients 99.996% of their time,” according to Founder and CEO Meghan Conroy, and it’s only a matter of time before a watershed change occurs. From niche applications like Captureproof and Mendel to corporate giants like Amazon and Ford making platform plays, the race is on. If you’re still on the starting block waiting for a cue, let this be your starting gun. Perhaps the most startling thing about the AI revolution is the pace with which it is moving. Predictions for when a computer would be able to beat a human at Go were shattered by 20 years. In Q1 of 2017 alone, $1.7 billion was spent in seed funding for AI startups. If you’re not thinking about how AI will change your business, someone else is. If you aren’t willing to experiment, you will be left in the dust. The beauty here is that once you get started, there is plenty of room to grow and adapt – that’s exactly what AI does. 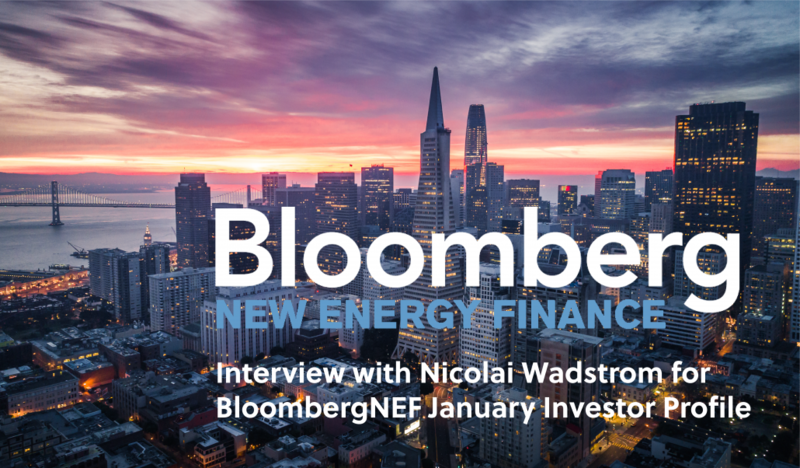 We’re right at the cusp of when the behind-the-scenes R&D work is turning into investment, and this investment will soon give way to large-scale market adoption. We’re proud to be at the heart of this exciting industry, and as entrepreneurs ourselves, we are ready to take on the challenges that it brings – together. 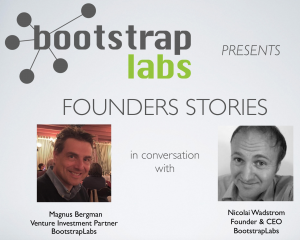 Nicolai is the Founder of BootstrapLabs, a leading venture capital firm, based in Silicon Valley and focused on Applied Artificial Intelligence. Read more. 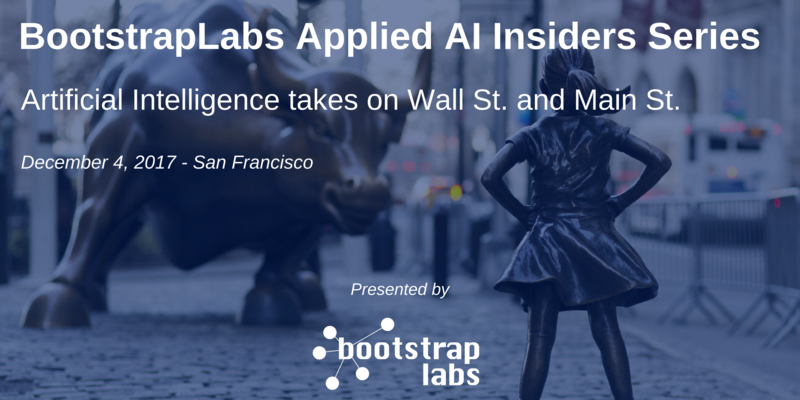 BootstrapLabs is thrilled to announce the BootstrapLabs Applied AI Insiders Series: FinTech. 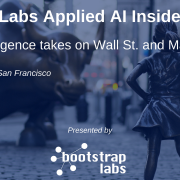 Topic: Fintech: Artificial Intelligence takes on Wall St. and Main St. The financial sector represents trillions of dollars in annual spending, most of which goes to technology, security, and infrastructure. Yet, the sector is seeing an unprecedented level of VC funding and potential disruption from new (and some already established) startups that are threatening the incumbents on all sides, including retail banking, individual, business, mortgage and auto loans, peer-to-peer payments, portfolio management, savings, bill payments, international wire transfers, and even money itself. The financial sector is also no stranger to big data, and few industries are as well equipped to benefit from the promises (and suffer from the risk) of Artificial Intelligence. During our December Applied AI Insiders Series event, we will explore practical ways AI is being applied to deliver new products and services that are faster, cheaper and better, but also share some thoughts on some of the biggest challenges the sector faces with the advances of AI, broader adoption of blockchain technologies, and disintermediation. Read more. 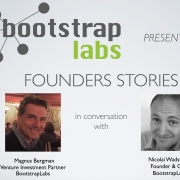 Nicolai Wadstrom, a serial entrepreneur turned parallel entrepreneur as the founder of BootstrapLabs. 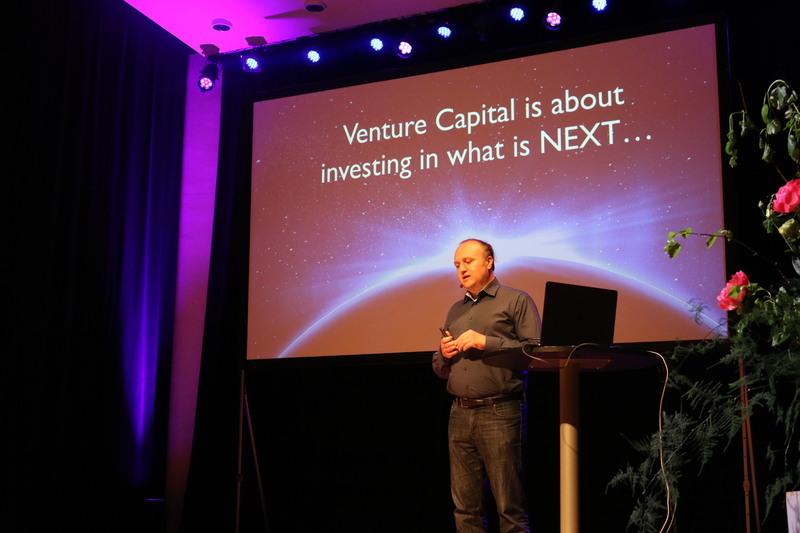 Nicolai advises all portfolio startups in their day to day operations, connecting founders with industry experts, advisors and investors to increase their likelihood of success, assisting with product design and development, positioning, go-to-market strategy and implementation, partnerships and fundraising. 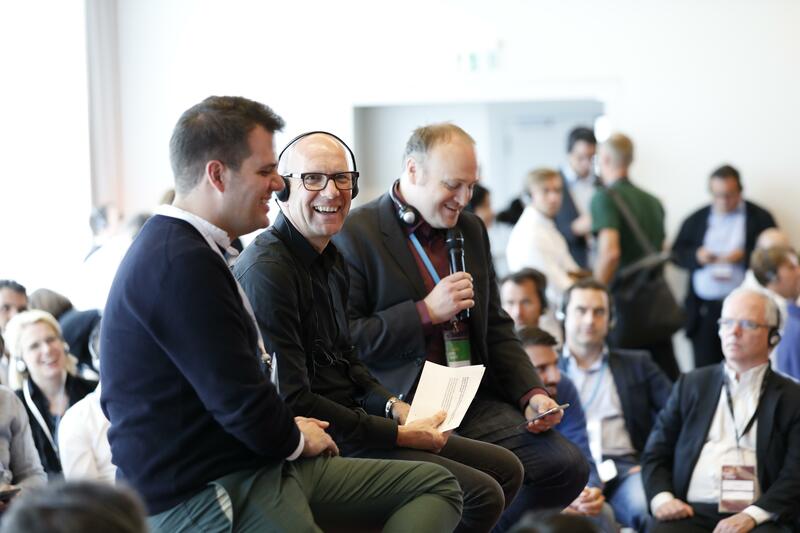 Nicolai is a frequent speaker, mentor and judge at top Universities and Conferences in the US and Europe on topics such as Entrepreneurship, Innovation, Disruption, Startups and Venture Capital. Will Summerlin is the Founder and CEO of Pinn, a cybersecurity company with a mission to solve the digital identity crisis. He was previously a founder of Arrive, a software company providing solutions to intelligent transportation providers. He is currently an advisor to Arrive and Story Ventures. After exiting her first company to Cisco in 2014 and helping to jumpstart innovation efforts within AI/ML for this Silicon Valley giant, Cathrine has now co-founded Roger.ai, building the world’s first borderless bill pay and bill lending platform. New York, NY, April 2, 2017 – In April, BootstrapLabs founders Nicolai Wadstrom and Ben Levy were invited to the United Nations Headquarters, overlooking New York’s East River, for a private and exclusive roundtable dinner with 70 of the best minds in artificial intelligence. “The world is preparing for what is to come! We are talking 10x the economical impact of the industrial revolution (approx. $14 Trillion vs. $1 Trillion) in 1/5 of the time!!! Humbled to have our firm BootstrapLabs be recognized among the top leaders in the space for its work supporting innovation and entrepreneurship in #AI and sharing its knowledge openly around the world. The event brought together AI chiefs from Facebook, Google, IBM, Airbnb, and Samsung, among other leaders in the space. For more information, check out this write-up in Newsweek. 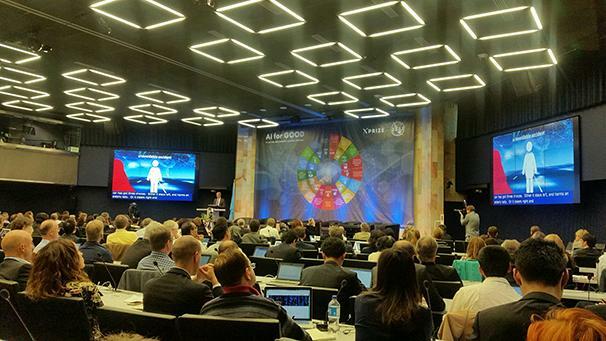 The UN has been active in exploring the impending impact of AI through its International Telecommunication Union (ITU) agency, and hosted a global AI Summit in Geneva this past summer.